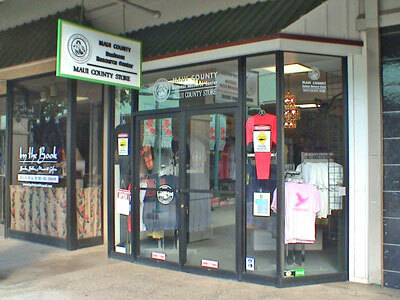 Maui County Business Resource Center is located at the Maui Mall in Kahului across from IHOP. File photo. 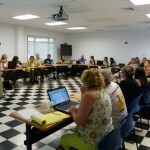 The Maui Office of Economic Development released a list of free workshops offered in September. 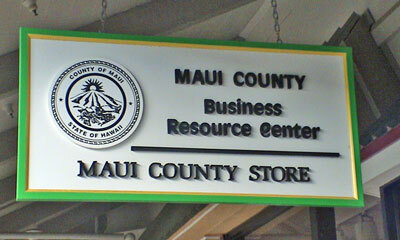 The workshops are presented at the Maui County Business Resource Center, located at the Maui Mall in Kahului. Seating for all workshops is limited, and can be reserved by calling the Resource Center at 873-8247. Beat the Banks: Instructor Philip Lenefsky, DDS, leads this discussion from 12 to 1 p.m. on Friday, Sept. 13. Find out how bankers can take your $100 deposit and turn it into $1,000 in loans. Dr. Phil Lenefsky, DDS, operated a private dental practice from 1974-1994 in the State of Colorado and now practices as a locum tenens dentist. Using his advanced training in finance, taxes, real estate, mortgages, and commodities, he was able to retire at the age of 41. Since then, he has been coaching and teaching others to achieve their financial independence. Disclaimer: This presentation is strictly for educational purposes. Please review any action or plans you might undertake with your accountant, financial planner or attorney. Sales Skills 201 – Role Playing: Instructor, TJ Anderson offers this free workshop from 11 a.m. to 12:30 p.m. on Wednesday, Sept. 18, 2013. Participants will delve deep into the practical, hands-on side of the sales process. The lessons and theory learned in the first class, Sales Skills 101, will be put into practice as we role-play actual sales situations. Specific focus will be placed on three important aspects of selling: 1) asking good questions, 2) handling objections, and 3) finalizing the sale. This is an experiential workshop, and all attendees are expected to participate. How Social Media Can Build Profitable Relationships for Your Business: Instructor Danielle Miller leads this free workshop from 12 to 1 p.m. on Tuesday, Sept. 24. Learn how to use social media to market your business, build profitable relationships, and connect with new customers. Danielle Miller is a Social Media Expert and Founder of Miller Media Management. 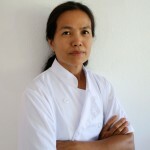 Her expertise comes from over ten years working in the marketing industry. Building a Facebook Business Page from the Ground Up: Instructor Nicole Fisher leads this free workshop from 12 to 1:15 p.m. on Wednesday, Sept. 25. This workshop will help you to choose effective cover images to match your message, cultivate engagement with fresh content, and to strategically brand your Facebook page. Nicole “Nico” Fisher is an entrepreneur who presently works as a Marketing Strategist, Social Media Consultant and Trainer. QuickBooks for Small Business: Instructor Richard Kehoe, CPA, hosts this three-hour workshop that runs from 5 to 8 p.m. on Thursday, Sept. 26. Cost is $45. Learn to set up your company’s QuickBooks in a small class setting with personalized tutoring. This class is for new users and will teach you how to record sales, receive payments, prepare invoices, and balance your checkbook. Follow-up appointments are offered at no cost. Affordable Care Act, Health Insurance and My Business: Instructor Nikki Baysa offers this free workshop from 11 a.m. to 12:15 p.m. on Friday, Sept. 27. 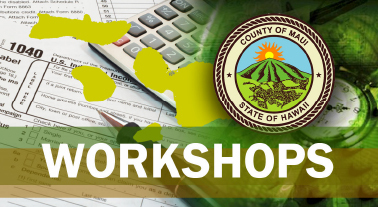 This workshop will help you understand some of the basics of Affordable Care Act, Small Business Health Options Program, the Hawaiʻi health insurance marketplace and the small business tax credits.